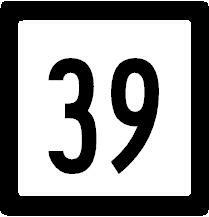 Connecticut State Route 39 is a north-south highway in Western Fairfield County. It runs from Danbury, north to near Gaylordsville. CT St Rt 39 passes through the following towns in Fairfield County. CT St Rt 39 is multi-plexed in Fairfield County. Connecticut State Route 37, near Sherman. CT St Rt 39 intersects the following highways in Fairfield County. U.S. Rt. 6, at Danbury. U.S. Rt. 7, at Danbury. U.S. Rt. 202, at Danbury. 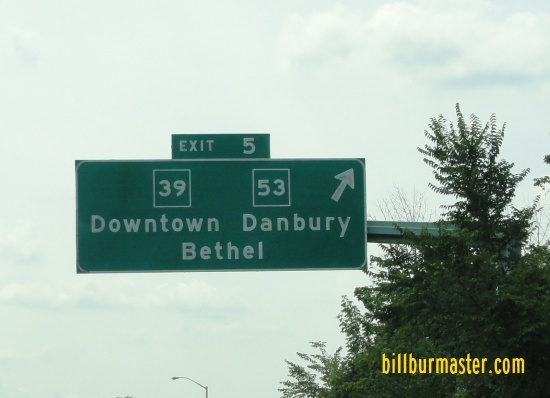 Connecticut State Route 37, at Danbury. 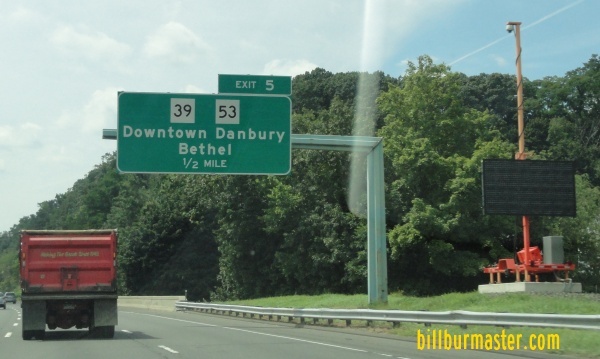 Connecticut State Route 53, at Danbury. Connecticut State Route 37, at New Fairfield. Connecticut State Route 37, at Sherman. Connecticut State Route 55, near Gaylordsville. A BGS on WB I-84/U.S. Rt. 6-202/SB U.S. Rt. 7.